SEGA jumped in on the 3D crazy by releasing several arcade classics reworked onto the Nintendo 3DS. Space Harrier and Super Hang-On are heralded as some of the first "forced perspective" 3D games of all time, so with modern technology, they can finally live up to their original aspirations of true 3D. SEGA was an early pioneer on the arcade scene in forced perspective 3D. Yu Suzuki, mostly remembered now for Shenmue, took it upon himself to deliver the new sense of depth in video games and cranked out Space Harrier and Super Hang-On, as well as the flight action series After Burner and racing game Out Run. 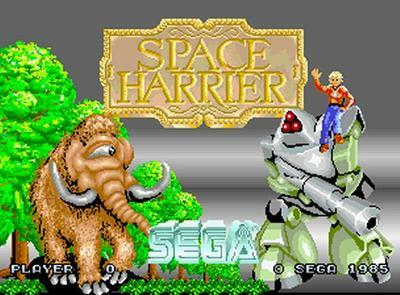 Super Hang-On and Space Harrier are essential gaming classics, and it is like early Christmas to finally see them in true 3D. Even if you don't want 3D, they are still great to play normally. Both are available for $5.99 on the Nintendo 3DS eShop, so be sure to check them out. Use your money to tell SEGA we want more! Those interested can also read a series of interviews Siliconera did with the developers, and the attention to detail these guys put into these ports is staggering. They are obviously true fans of SEGA arcade classics. Both Super Hang-On and Space Harrier have their own interviews. Also available on the Nintendo 3DS Virtual Console is Ninja Gaiden III: The Ancient Ship of Doom for $4.99. Do yourself a favor and stay away unless you have a healthy supply of handhelds. This one is hard!